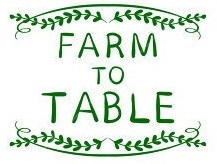 The Farm to Table Dinner was a very special occasion in the life of our parish. On that evening, we partnered with the Anniston Farmers’ Market to co-sponsor a farm-to-table type dinner. Local chefs prepared the menus, and market vendors provided food, wine and flowers. St. Michael’s cloisters served as the setting for the white tablecloth event. This was an ambitious undertaking, but most enjoyable and successful.